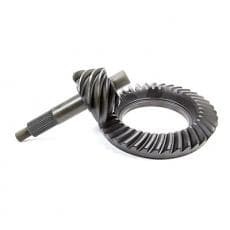 Richmond Gear Ring and Pinion Sets - Circle Track Supply, Inc.
Richmond Gear is the leading manufacturer of professional-quality, high performance ring and pinion sets. The superior quality of these gear sets is the result of years of racing development, outstanding design, and state-of-the-art manufacturing methods. Richmond also offers these gear sets in a lightened version for the weight-conscious enthusiast. Their lightened ring and pinion sets feature an outstanding rotating weight loss of up to 6 lbs., ground pinion threads for trouble-free installation, and a special heat treatment for improved strength.